Show your team pride and add style to your tailgating party with FANMATS area rugs. Made in U.S.A. 100% nylon carpet and non-skid DuragonÂ® latex backing. Officially licensed and chromojet printed in true team colors. Machine-Made Tufted. 100% Premium Nylon Pile. Made in the USA! Boston 7'8"x10'9" College Repeating A.. The Jacksonville Jaguars framed logo jersey display case is made from a durable, high strength injec..
Machine-Made Tufted. 100% Premium Nylon Pile. Made in the USA! Indianapolis Colts 5'4"x7'8" NFL Team..
Machine-Made Tufted. 100% Premium Nylon Pile. Made in the USA! Ottawa Senators 3'10"x5'4" NHL Team S..
For all those hoops fans out there: basketball-shaped area rugs by FANMATS. Made in U.S.A. 100% nyl..
Machine-Made Tufted. 100% Premium Nylon Pile. Made in the USA! Maine 5'4"x7'8" College Repeating Are.. Ultimate collectors mini helmet case. Available with the NFL shield logo beautifully engraved on the.. Ultimate collectors natural color framed base mini helmet case. 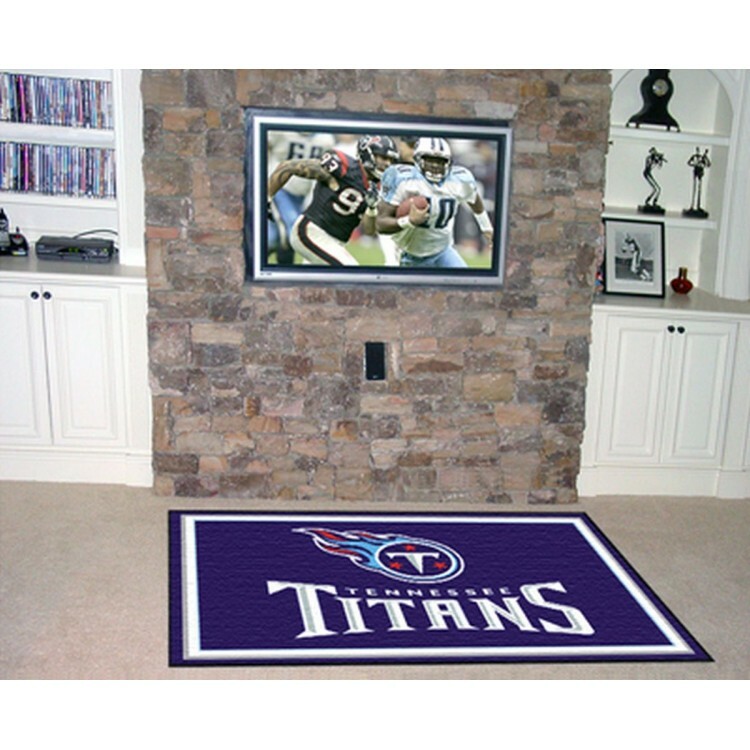 Choose your favorite NFL team logo b..
For all those hockey fans out there: puck-shaped area rugs by FANMATS. Made in U.S.A. 100% nylon ca..
Commemorate Pierre Garcon becoming the all-time franchise record holder for the most receptions in a..
Machine-Made Tufted. 100% Premium Nylon Pile. Made in the USA! Tennessee Titans 7'8"x10'9" NFL Team ..
Machine-Made Tufted. 100% Premium Nylon Pile. Made in the USA! Florida State 7'8"x10'9" College Team..
Machine-Made Tufted. 100% Premium Nylon Pile. Made in the USA! Boston Celtics 5'4"x7'8" NBA Team Spi..